Aequo is an advanced, industry-focused Ukrainian law firm. Our team consists of highly-qualified and recommended lawyers who work proactively to help clients reaching their business goals. Backed up by solid industry expertise and a thorough understanding of business we develop innovative strategies and provide efficient solutions to the most complex and challenging matters. Our advice is clear and practical. 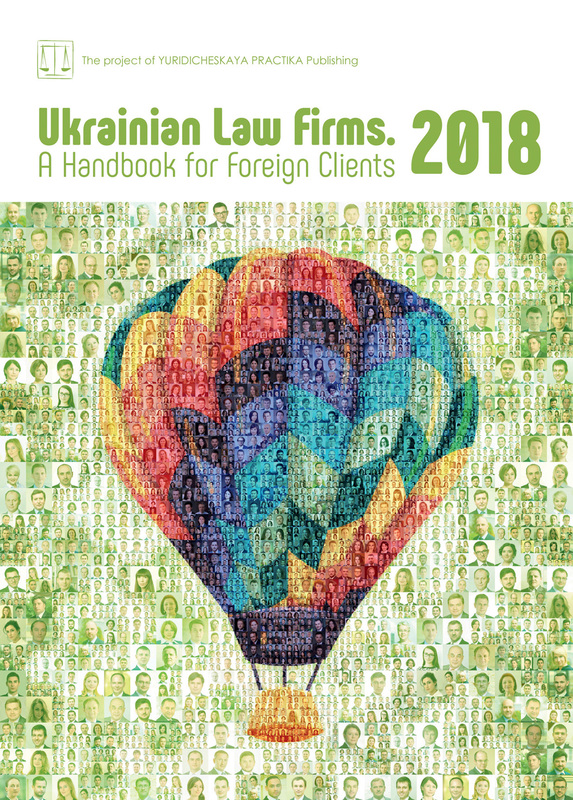 Today, we are a legal advisor of choice for many of the largest Ukrainian and multinational companies and financial institutions, including Fortune 500 entities, and leaders in their respective sectors. We operate at the top-end of the market. Our representative clients include Agroprosperis, Apax Partners, Apollo, Bunge, DuPont, EBRD, European Commission, Google, Inditex Group, NCH Capital, Pioneer Hi-Bred International, Samsung Electronics, Sandvik, Synthon, Tetra Laval, Ukrainian Redevelopment Fund, UniCredit Group, Vodafone Ukraine, etc. Aequo was named law firm of the year in Russia, Ukraine and the CIS by The Lawyer European Awards 2017, Ukraine Law Firm of the Year by Chambers Europe Awards 2016, and one of the most innovative law firms in Europe according to the FT Innovative Lawyers 2015-2017. On Access to Infrastructure, the announcement of the tender to award licenses for the use of the radio frequency resource of Ukraine to launch 4G, a sensational lawsuit seeking Ukrtelecom’s deprivatization, and a potential sale of Volia Cable. In 2015 Ukraine celebrated the long-awaited introduction of 3G in Ukraine, which promoted a substantial growth and boom in live broadcasting and content consumption by subscribers. Subscribers are ready to pay to consume the content they want, regardless of rising prices for mobile services. Notwithstanding some time-consuming bureaucracy in connection with the launch of 3G, Ukraine appears to have recently overcome the obstacles to 4G launch, and the re-distribution of radio frequencies (“re-farming of frequencies”) among mobile operators is at its final stage. On 31 January 2018 the first open auction was held by the National Commission for the State Regulation of Communications and Informatization (NCCIR) regarding licenses for radio frequencies in the 2600 MHz band with a total bandwidth of 80 MHz for a 15-year term in all regions of Ukraine. All mobile operators have already paid license fees and obtained their licenses. On 6 March 2018 the second open auction was held by NCCIR with regard to licenses for radio frequencies in the 1800 MHz band for a 15-year term in all regions of Ukraine. As a result of both auctions, Ukraine generated a total of UAH 8.75 billion in revenue. Kyivstar announced that services using 4G technology will be launched in test mode in April 2018. On 4 March 2017 the Law of Ukraine On Access to Construction, Transport, Electric Power Industry for the Purpose of Development of Telecommunication Networks No. 1834-VIII of 7 February 2017came into force (the Law). The Law regulates the procedure for execution of contracts between owners of infrastructure facilities, operators and telecommunication providers regarding access to infrastructure facilities for the purpose of providing telecommunication services. The adoption of the Law in 2017 was prescribed by the Action Plan for the Implementation of the Association Treaty between Ukraine and the European Union for 2014-2017, as approved by the Cabinet of Ministers of Ukraine Resolution No. 847-г of 17 September 2014. Prior to the adoption of the Law, the owners of infrastructure facilities executed agreements on access to infrastructure objects with telecom operators and providers based on the same template granting limited rights of use of the objects. Interests of operators and providers were not adequately protected as owners of infrastructure facilities generally abused their monopoly position and a balance of interests of parties to the contracts concluded was not observed. Among the most important novelties of the Law are the establishment of clear rules for the calculation of fees that can be charged by infrastructure owners, listing rights and obligations of owners of infrastructure facilities, including ensuring non-discriminatory access to telecom operators and providers and equal conditions of use of infrastructure parts. Pursuant to the Law, fees for the use of different infrastructure facilities shall be calculated based on special methodologies which are unique for each infrastructure facility. The Law identifies limited fees that shall be applied regardless of the approved methodologies. That is, for the development and issuance of technical conditions for access, for access to infrastructure of power facilities, etc. The Law also lists material terms of a contract on access to infrastructure objects to ensure the transparent and equal conditions for all market participants. At the end of 2017, there was a rumor in the media about a potential sale of Volia Group, one the largest national cable TV operators and broadband Internet access providers. Mobile operator Lifecell, Virgin Media Group and some other telecom players were named among the potential purchasers of Volia Group. Regardless of many publications about the potential sale of Volia, no official announcement has been made so far. According to experts, the main obstacle to the sale of Volia is the outdated DOCSIS data transfer standard used by Volia for transmitting signals to subscribers, which is not investment-friendly in the long-term perspective. The sale of Volia Group, whose majority shareholders are SigmaBleyzer investment fund and Providence Equity Partners, had the chance of becoming one of the most remarkable M&A deals in the telecom domain. Volia Group appears to continue to look for a potential buyer, in the meantime increasing the prices of its services. Battle for Ukrtelecom: State or Private Company? In 2017 the State Property Fund of Ukraine claimed termination of the sale and purchase agreement executed with ESU LLC on 11 March 2011, with regard to a 92.79% shareholding in Ukrtelecom PJSC. To support its claim, the State Property Fund alleged that ESU LLC had failed to comply with a number of privatization terms. On 19 October 2017, the Commercial Court of the city of Kyiv fully satisfied the claim of the State Property Fund, ordering that the sale and purchase agreement regarding a 92.791% shareholding in Ukrtelecom PJSC be terminated, the shares be returned to state ownership, and the purchaser pay a fine of UAH 2,171,169,000 for breach of the agreement. According to the State Property Fund, ESU LLC failed to comply with the agreed investment plan obliging the purchaser to invest at least USD 450 million into Ukrtelecom’s development within 5 years upon execution of the agreement, and neither separated the dedicated telecom network nor transferred it to the state. kings in the share purchase agreement, recording no breaches in the course of the previous four audits. All breaches of privatization conditions were shown in the recent report of the State Property Fund issued at the beginning of 2017 only as a result of the audit that lasted for more than 6 months. On 12 December 2017 the Kyiv Appellate Commercial Court upheld the decision of the Commercial Court of the city of Kyiv. On 24 January 2018 the Supreme Court of Ukraine commenced cassation proceedings upon a cassation complaint by ESU. A hearing in the cassation proceedings is rescheduled for 13 March 2018. There is a rumor that this claim is just a part of a big game resulting from the purchaser’s failure to redeem the bonds in the state-owned banks Oschadbank and Ukreximbank for the total amount of UAH 4.2 billion. The funds received after the placement of the bonds were used to pay the purchase price under the challenged sale and purchase agreement regarding the 92.791% stake in Ukrtelecom. A separate lawsuit claiming the recovery of the debt owed to Oschadbank and Ukreximbank by Ukrtelecom is now pending too. Though the decision of the Kyiv Appellate Commercial Court came into effect, the State Property Fund failed to collect the 92.791% stake in Ukrtelecom as it is currently pledged in favor of Oschadbank and Ukreximbank as collateral for the current debt under the bonds. It appears that the dispute will be resolved in the near future and new privatization of Ukrtelecom could take place in 2018.